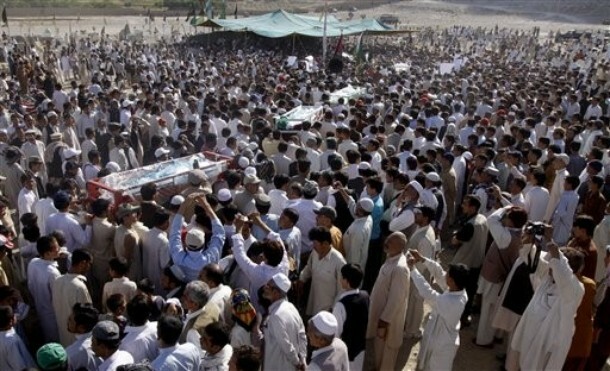 I as a hazara living in Quetta can better understand the fear under which we live in Pakistan. For the past couple of months, the waves of barbarous and brazen attacks by banned military outfits has surged and go almost unnoticed by Government and law enforcing authorities. We have become dubious of the authorities and it seems that the terrrorists are doing all their notorious activities under the connivance of government. Besides, our so called hazara leaders are without qualm of conscience and are relentlessly busy in feathering their nests. 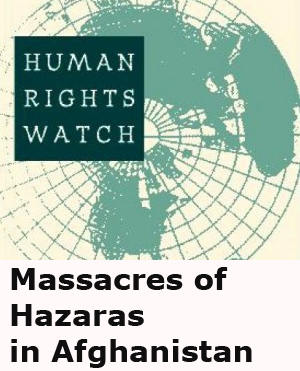 In such a dismal conditon, we laymen of hazara nation can only weep on our mishap. God bless all of us. Its really shame for your leaders in Afghanistan who call themselves the real leaders of hazara, who never come to Pakistan and talk with the Pakistani Govt. about the ethnic cleansing of our people in Quetta. Haji Moaqiq call himself the leader of Hezbe wahdat and founder of this hezb, why dosent he come to Pakistan and talk to the Pakistan authorities about the hazaras of Quetta. Its really shame for us to see such leaders. We have never seen any comments from them about such incidents in Quetta. 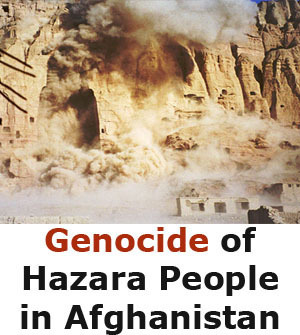 Shame on Moaqiq, shame on Khalili who call themselves hazaras. Yes its true that you belong to Afghanistan and not Pakistan, but its your moral obligation to come to Pakistan and see your people, how they are and how they have been killed by the extremists of Pakistan. 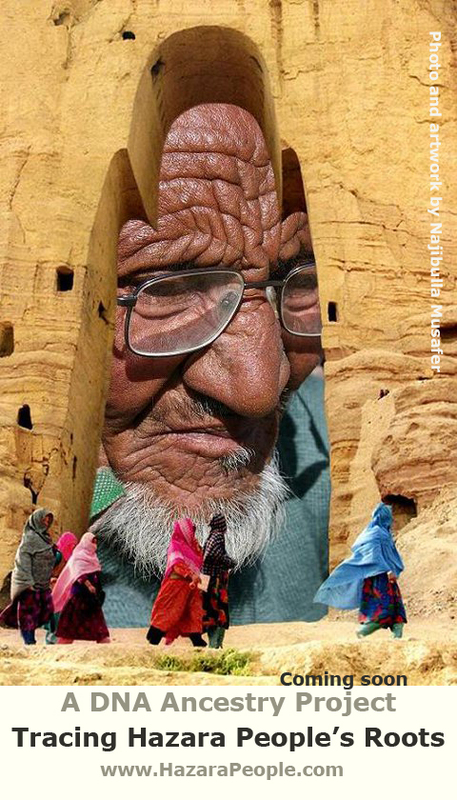 The hazaras of Pakistan are in minorities, we dont have any big political party here and we dont have any role in media, but Haji Moaqiq can make a big role here if he comes to Pakistan and pressure the Pakistani Govt. about the situation in Quetta. Dr. Sima Samar, who call herself the leader of the Human Rights Commissions of Afghanistan, why dose not she come to Pakistan and talk with the Human rights Commission of Pakistan or Amnesty International about the ethnic cleansing of his nation in Quetta. Shame on Sima Samar and shame on Moaqiq with Khalili, you people do not deserve to be the followers of Mazari, shame on all of you. Please allow me as an Australian supporter in Melbourne Victoria of the worldwide #Hazara community to express my deep sympathy to the families of those senselessly killed in the name of religion in the second recent bus attack of innocent civilians. This is further evidence that Australia or any other country rejecting Shia #Hazara #asylees or either coercively obtaining Ã¢? ?voluntary returnÃ¢?? or else facilitating forced return would be guilty of re-foulement, as expressly forbidden under international provisions, yet to be further tested before higher courts. 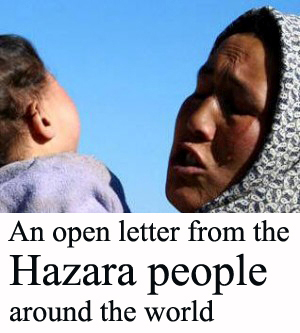 My personal connection with and respect for the #Hazara community is something I greatly value. I have been able to observe the extraordinary sense of connectedness and community spirit; resilience and adaptability of the Hazara community, in addition to their adaptability. 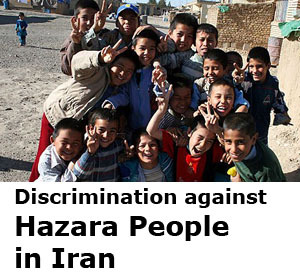 I have always found the Hazara people to be friendly, hospitable and peace-loving. It was a great privilege for me to be invited to this event in Melbourne and to support the Hazara cause. 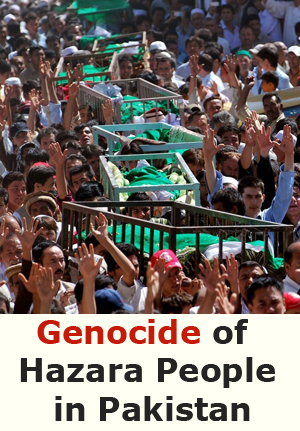 Without reservation I recommend the #Hazara people to the rest of the world. Without reservation I urge consideration of their special qualities of resilience, determination, collective and individual motivation. While the inhuman execution of the innocent civilians are carried out in Afghanistan, the champions of democracy, including the USA, Great Britain, all the Western powers and the so-called civilized institutions such as the United Nations remains as spectators on the side. This historical information does not need repeating for Hazaras, but I provide it for the benefit of others who may read these pages. Nonetheless the AU Executive limb of Govt and the Opposition are determined to change domestic laws in an attempt to escape their enshrined international obligations. They favour the unconscionable #MalaysianSolution, a country where undocumented arrivals whether #asylees; confirmed #refugees and #migrant workers are regularly caned; abused, abitarily arrested; bribed by officials. #Refugees in #Malaysia want to escape to Australia as Malaysia is a hell-hole for them, but Australia is making other plans for their incarceration in some third country, even considering returning them to the hell-hole, to the ill-fated #Nauru or the unsuitable #ManusIsland, #PNG. World Wide Protest Against Genocide in Pakistan and Afghanistan Kabul Press 1 October and my three recent responses. #ManusIsland, #PNG is being considered as a back-up dumping ground. Also most unsuitable. PM Julia Gillard pacifies the Malaysian Govt by assuring them that the unconscionable swap deal is still on. This is yet to be debated before Parliament in a continuing debate that is cursorily blocked by the Opposition in a political gaming exercise. Meanwhile the Liberal Opposition Party hoping to gain power in the current climate of unrest, substantially support proposed amendments by Labour Party Executive to domestic migration laws seeking unfettered Ministerial powers as referred to above. They seek to expel people for processing or otherwise to any country who has signed the #UNRefugeeConvention (and/or associated 1967Protocol). Such countries include those who have never respected #humanrights. The Liberals favour #Nauru which was part of the failed #PacificSolution of the evil john #Howard, Phillip #Ruddock; Amanda #Vanstone era, and which was closed down as a most unsuitable processing or dumping ground. Regrettably the reputation of Australia for upholding #humanrights has just about vanished Ã¢?? which may be exactly the deterrence message they wish to convey. I have no time for the current Govt or the Opposition because of it.